Who funds medical research for neuroblastoma and other childhood cancers? Many more adults get cancer than children, which is why the government and pharmaceutical companies spend so much more on research for cancer in adults than on research for childhood cancers. In the U.S., only 4% of our federal cancer research funding goes to studying pediatric cancers like neuroblastoma. Government isn’t even the largest funder of childhood cancer research – roughly 60% of all funding for the development drugs to treat adult cancers comes from the pharmaceutical industry. But because the number of potential patients (i.e. customers) is small, developing medicines to treat childhood cancers is not profitable so pharma companies aren’t willing to invest in the research. Still, over half of children receiving cancer treatment do so as part of a clinical trial. The long-term cost of not adequately funding the necessary research development of drugs to treat childhood cancer can be measured in lost years. On average, adults are diagnosed with cancer around age 67, and the number of years of life lost to cancer averages 15. The average age for a cancer diagnoses in children is around age 6, and the average number of years lost to childhood cancer is 71. That’s a lifetime. With limited funding for neuroblastoma via government agencies and pharmaceutical companies, non-profit organizations – including some that were founded by the parents of children with cancer – seek to fill the gap. Louis’s parents, Mark and Mary Ellen Unger, have established the Carrot Seed Foundation to help fund pediatric cancer research, clinical trials, pediatric oncology nursing scholarships and other causes that help families overcome the hardship of battling Neuroblastoma. Memorial Sloan Kettering Cancer Center – for the specific funding of a new Neuroblastoma Vaccine Trial. This revolutionary clinical trial could change the game of survival for children who are stricken with the disease today with the hope of raising survival rates to 80%-90%. Mark and Mary have donated significant funds to the Neuroblastoma Team at Sloan Kettering for over 10 years in order to pay forward lifesaving treatments to the kids that followed Louis. The Band of Parents – a charity founded by parents of children with Neuroblastoma. 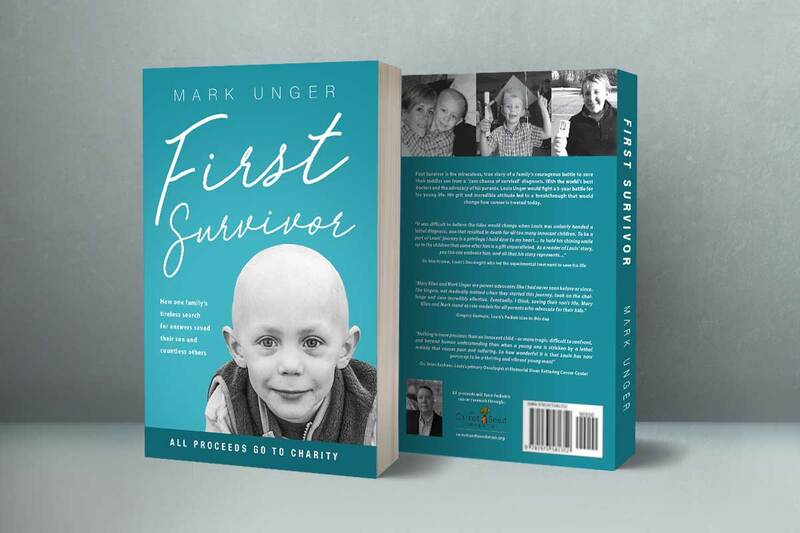 Mark Unger is on the board of directors of this New York City charity and is active in researching and funding new innovative treatments for Neuroblastoma around the world. The Band of Parents has granted over $4 million to Neuroblastoma centers of excellence over the past 10 years. It was the primary funder of a new antibody developed at Sloan Kettering called HU3F8, which is having a dramatic impact on children’s survival rates right now. Make A Wish of Connecticut – One of the Ungers’s favorite charities as Louis was granted a wish to “Dig for Dinosaurs” after he had completed the treatment. Mark served on the board of the CT Chapter for six years and continues to support this incredible cause. When a child is stricken with cancer the whole family goes through incredible hardship. The wish experience gives the family a goal to reach and takes all of the pain and suffering of the long battle with cancer and replaces it with amazing joy and happiness. The wish was a turning point in his treatment as it felt like the worst was behind them now. The name of the foundation, Carrot Seed, is based upon the children’s book written in 1945 Ruth Krauss. Marry Ellen read this book to Louis all the time and it was a source of continued inspiration. It is about a young boy who plants a carrot seed in his yard. Over time his parents, brother and all his friends tell him it will never grow. But the boy was determined and kept tending to the seed until one day the carrot sprouted, just as he knew it would. When he pulled the carrot out of the ground it filled a whole wheelbarrow. This simple story is a reflection of the battle we went through with Louis. To plant the seeds of hope for those who are determined to flourish. "While Mary Ellen was spending time with Lou at the hospital and I was at home with Harry we talked on the phone about somehow getting the boys together. Suddenly, I was inspired with a crazy plan. I said, “Okay, we’re driving to Yale, I’m going to put Harry in a suitcase, and I’m just going to wheel the suitcase in, right? Nobody’s going to know. I’m going to wheel the suitcase into Lou’s room, and put it down. And then, when I pop it open Lou’s going to be surprised” Finally, some fun! Read Louis's amazing survivor story. Your purchase supports neuroblastoma research through the Carrot Seed foundation.